This year the Woodland tree has come alive with bursts of colour in bright orange, lime green and gold. 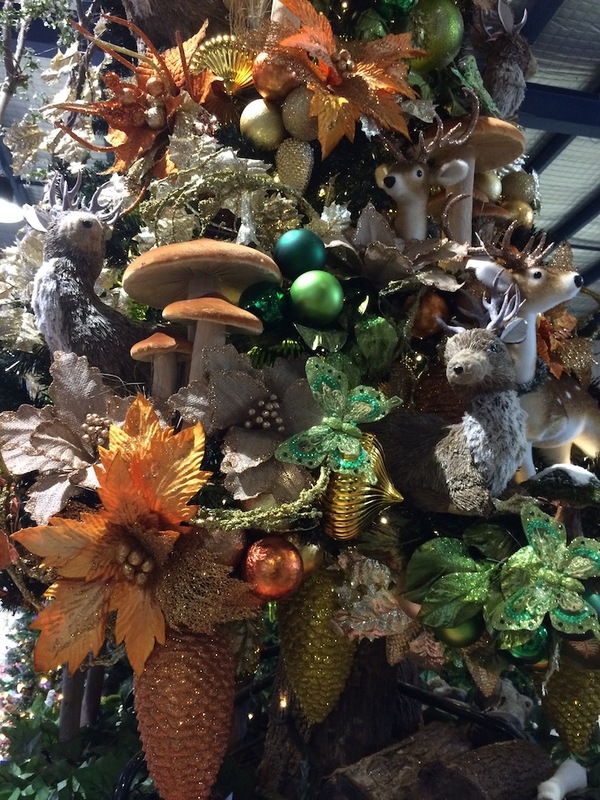 Squirrels, reindeer and owls peer out from behind larger than life toadstools to create a magical forest scene. 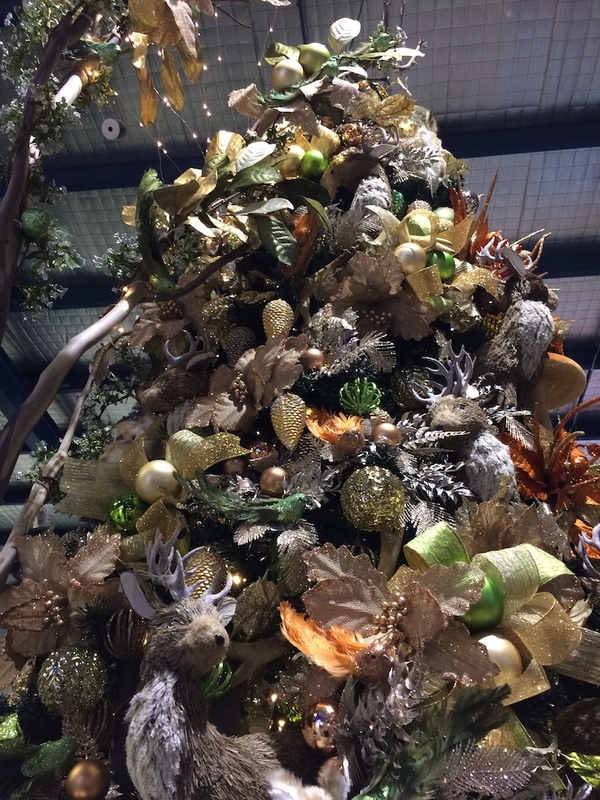 Each year we work with a natural colour palette so it was fun to introduce the orange and copper tones to the front of the tree. The neutral shades of beige and burlap tone down and complement the sparkle. 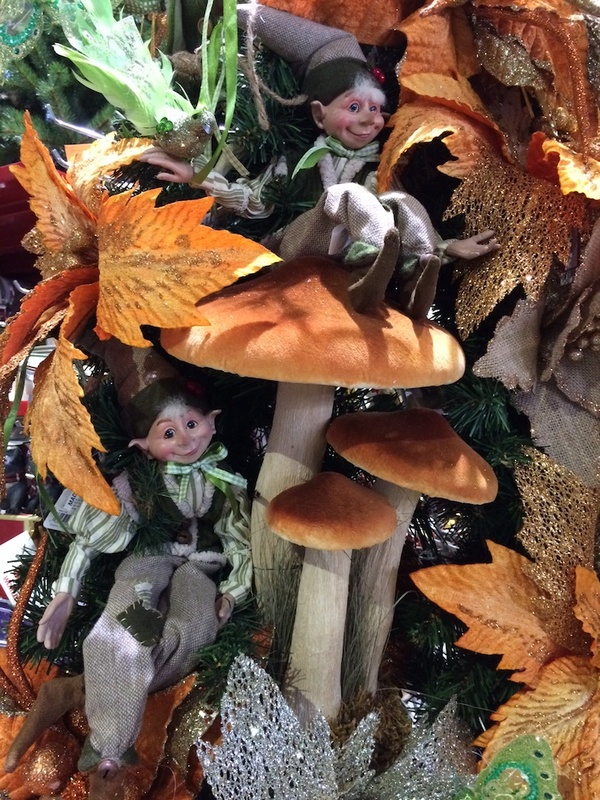 This year the large colourful toadstools were a popular addition and add to the fairytale quality. 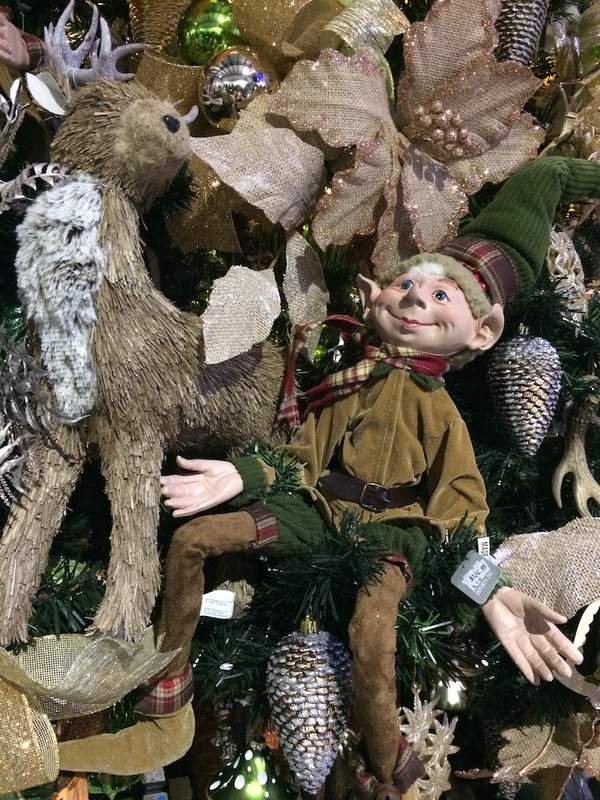 The RAZ Woodland Elves were last to arrive but really complete the picture adding whimsy and charm to the tree. At the Ferntree Gully store I decided to go a different route and kept the decorating quite minimal. I used a naturalistic Linwood Christmas tree which has sparse foliage and large pinecones already fixed to the tree branches. I decided to keep to a natural colour palette with large beige flowers predominating and making it home to the woodland animals. Copper wire lights were added last and give a warm glow at night time.